Are they wearing vintage Valentino? Hail Mary. 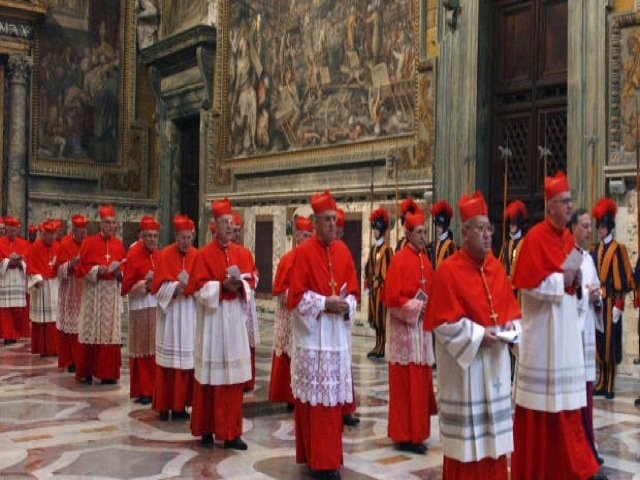 This particular Papal Conclave has so much riding on it, that I am seeing red. And with that, I give you the gals from Heart Truth event that kicks off New York Fashion Week. Any money bet that Diet Coke would love to sponsor the Papal Conclave too. Or maybe we should get Paypal can offer up some merchandising points. Anyhoo. What I want to know is why the Papalettes wear red, does it bring out their eyes?